Olympic fever is certainly hotting up! As mentioned in my previous blog I am really excited about the year ahead – and the impending Olympic Games is a major reason for this! I was selected to be an official Games Maker in December last year, which absolutely made my day!! I truly believe that the Games will have a lasting legacy on London and on the nation and I am humbled to have been given a chance to be involved. My first training session is in February….will let you know how it goes!! In November last year the global FMCG company Proctor and Gamble (P&G), owners of brands such as Olay, Pantene, Ariel, Pampers, Max Factor and Gillette, announced that it will be supporting 11 British athletes leading up to and during the London 2012 Games and these athletes will act as ambassadors for the company. The selection includes the incredibly talented female athletes Jeanette Kwakye, Keri-Anne Payne, Victoria Pendleton, Paula Radcliffe, Jessica Ennis and Jenna Randall. Yesterday, Pantene, Olay and Max Factor announced partnerships with cyclist Victoria Pendleton, pentathlon champion Jessica Ennis and swimmer Keri-Anne Payne respectively. All 3 athletes are worthy role models and are indeed beautiful women. I was particularly thrilled to see that Jessica Ennis (MBE) will be the face of Olay. 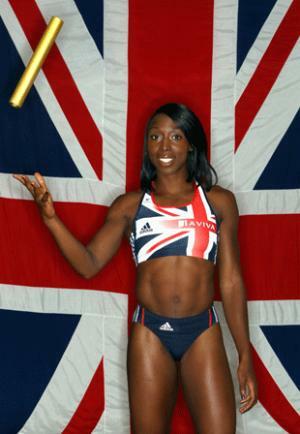 Ennis is of a mixed heritage background, the offspring of a Jamaican father and English mother. In a week where race relations in Britain is again front page news – with the conviction and sentencing of two of the murderers of the black teenager Stephen Lawrence dominating the headlines- I hope that Ennis’ partnership with Olay will serve to remind the nation that unity and cohesion can be and is a hallmark of our society and that we should not let the negative incidences overshadow this important fact. However….I do have to admit that I was a little disappointed to see that 100m sprinter Jeanette Kwyake was not a part of the beauty ambassador group – after all Black women wash their hair, moisturise their skin and wear mascara too! In fact, according to the market research agency Mintel, British women of ethnic origin spend up to 7 times more on cosmetics and toiletries that her Caucasian counterpart. A report published by the agency in 2009, stated that the market for Black or Asian beauty products in the UK remains a niche one, valued at £70m, or just 2% of the total market for women’s haircare, skincare and makeup, well below their percentage of the population. This is blamed partly on the fact that there is a “lack of commitment by mainstream companies to ethnic beauty needs”. The report also identified that a lack of advertising spend and use of models that represent this market was a source of frustration for women of colour . In my eyes P&G missed a perfect opportunity to demonstrate that it is in touch with the needs of its consumers and to lead the way in showcasing the beauty of the multicultural Britain that we all reside in. So much going on…but it’s all good! Those of you that follow me on Twitter (that’s you right??) will have seen that I recently completed my number 10 speech from the Competent Communicator manual – which leads to the first accreditation on can achieve as a member of the global public speaking organisation that is Toastmasters International. 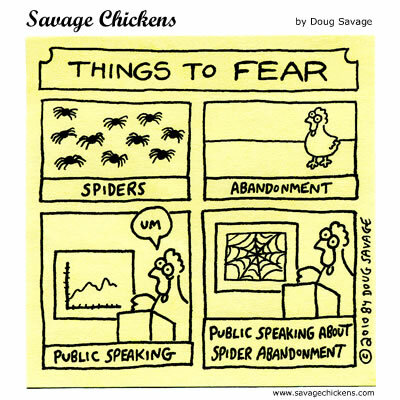 Being able to communicate and make your point heard is critical to ones success and apparently speaking in front of an audience is something people fear so much that it is trumped only by death itself!! Your local Toastmasters club (there are over 13,000 clubs in 116 countries) is an ideal place to develop your speaking skills and build your confidence. I joined Toastmasters because I am as passionate about personal self development as I am about beauty – in fact I believe that the two go hand in hand – looking good on the outside plus feeling great on the inside does wonders for ones self esteem! This was the topic I chose to speak about in my 10 minute speech which I entitled Beauty and the Best. I showcased the behemoth that the beauty industry is – according to the market research agency Euromoniter International it is estimated that it worth a staggering $350 billion US dollars a year (!) and how much I LOVE the industry – the glamour, the fantasy and its power to transform are just a few reasons for my adoration. However, sometimes I am plagued with a tension – because the tyranny of the beauty industry is that whilst it promotes style and well being, it generates the vast majority of its revenue from products that exist to remind the user of her supposed ‘ imperfections’. “Youth”, “vitality”,” radiance”, “revitalise” – words such as these pepper the advertising copy of beauty brands and many of these adverts are heavily doctored and have undergone extensive airbrushing. 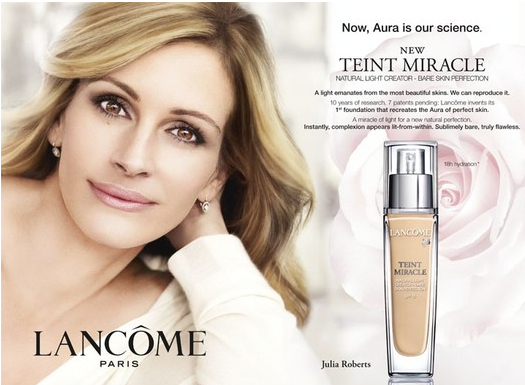 This Lancôme ad, featuring the Oscar winning actress Julia Robert is now banned in the UK – the Advertising Standards Agency upheld complaints made by the Liberal Democrat MP Jo Swinson that the images were overly airbrushed and did not reflect reality. Irrespective of such challenges, the industry continues to be a source of delight and one of the reasons why we happily part with our hard earned cash to ameliorate our outer appearance seems to be linked to our self – esteem. A study commissioned by the Cosmetics, Perfumery and Toiletries Association entitled the ‘Self-Esteem Society’ stated that of the people polled, an overwhelming 93% thought feeling confident about their appearance was an important factor in building self-esteem – and I certainly attest this finding– as I have experienced firsthand the very tangible effect beauty products have on the self–esteem of myself and on that of others. Whilst I advocate caring for ones outward appearance, I sincerely believe that one’s inner beauty requires just as much – if not more – meticulous attention. We must learn to love and value ourselves and to appreciate our intrinsic and inherent qualities –the qualities that make us unique. This notion is echoed by Proctor and Gamble (owners of brands such as Dove, Olay, Pantene and Max Factor) who launched the My Black is Beautiful movement in the US , in 1997. The brand managers state that “My Black is Beautiful, celebrates the diverse collective beauty of African-American women and nurtures black self-esteem. The movement encourages black women to define and promote our own beauty standard — one that is an authentic reflection of our indomitable spirit. Recognizing that beauty and self-confidence are intrinsically linked, My Black is Beautiful is designed to ignite black pride and support a sustained national conversation by, for and about black women — the way we are reflected in popular culture and how we serve as the catalyst for a movement that effects positive change”. It is still very much an African-American program – it would be fabulous to see a similar initative launched to serve the UK and Ireland – because our Black is Beautiful too! !